If you are preparing to buy a home in Lake Tahoe this year, you may have heard already that there are extra costs that go into the process, aside from just the actual selling price of the home. In fact, there are a few that can contribute to the final statement at the end of the transaction that may leave you perplexed and wondering what exactly the extra money is for. Before you let the wave of anxiety wash over you, your Lake Tahoe Realtors are here to walk you through the fees and what they mean. Ernest money is also known as a sign of good faith in the Lake Tahoe Real Estate world. It proves to the seller than you are committed to this purchase. This amount usually depends on the local market and affiliated factors, but typically you can expect to write a check from 1%-2% of the purchase price. If the market isn’t too hot, a seller may be happy with less. The importance of a qualified realtor is key here as there may be a rules and state limitations that cap how much a seller can request. An escrow account is an account separate from the mortgage account and it is how a mortgage company ensures you have the funds to cover the mortgage insurance and taxes. While the amount paid varies, it could cover the costs for up to a year. Escrow accounts are a mandatory requirement for FHA loans and common for loans where less than 20% is being paid for the down payment. Inspection is one of the most important, and necessary, aspects of buying a home in Lake Tahoe. This ensures the home you are getting is free of mold, pests, flooding issues, radon, structurally sound and so much more. If something negative comes back, you can figure out whether you want to back out and keep looking, negotiate price, repairs, credits and more. Plus it keeps you from moving in only to have unwanted surprises you were not expecting, nor ready for financially. Inspections typically cost between $300-$500. Pest inspections and radon inspections are usually extra and can definitely tack on a few hundred extra dollars, but knowing whether or not the new home you are about to invest in is safe is priceless. A quality realtor will be able to give a good reference on who they find to be the best in the inspection business. The origination fee is the money you pay the loan officer or broker for finishing the loan. This includes originating, underwriting and processing. It is usually around 1% of the total loan, but can vary. Definitely shop around before settling on one. Lenders like to know what the fair market value of a home is before they lend you the money. Once again, your realtor can recommend a good appraiser. The costs vary, factoring in property size and location, but you can usually expect to pay between $200-$400. 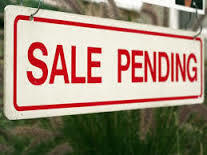 You want to make sure that the property you are about to buy has a title that is free and clear. There is an extra fee associated with this. Your Lender and your Realtor can recommend a title company. Getting a survey done is not always required, but a lender may require you to find out where precisely the property lines start and end. This is another service where prices vary quite a bit. Something to keep in mind as you read about the extra fees is to remember that you have the power to bargain. There are many options, you just need to shop around and find out what fees and rates are in your area. Feel free to ask questions, especially if you are unsure what a fee is for. As always, be sure to pick a qualified Realtor. They will not only be able to recommend the best vendors in the business, but they can give you a heads up on rates, fees, who is the best and so much more. If you have any questions about extra costs associated with buying a home, call us at 530-543-6676.